One of my friends in college was always afraid that if she left one of our gatherings something really fun would happen immediately afterwards, leaving her out of the fun. We would joke around with her about it, promising that we wouldn’t do anything really fun until after she left for her apartment. Today, there’s a name for that: “fear of missing out.” The fear of missing out has become seemingly more pervasive since social media enables us to tell everyone everywhere about the amazing food we are eating, the cool people we are spending time with, and the once-in-a-lifetime vacation we are having. Everyone else can peek into it and experience the fear (or reality) of missing out. This hunger for understanding is built into us by God. We certainly recognize that this hunger to know has led to many important breakthroughs, whether in cancer research, philosophical understanding, or our conception of the physical world. Yet, left to our own devices, this hunger to know often pushes us into a mad scramble to indiscriminately know and be in on everything without stopping to consider what is really worth knowing and why. In its best sense, this hunger to know leads us into an encounter with that which is beyond us and, ultimately, God. 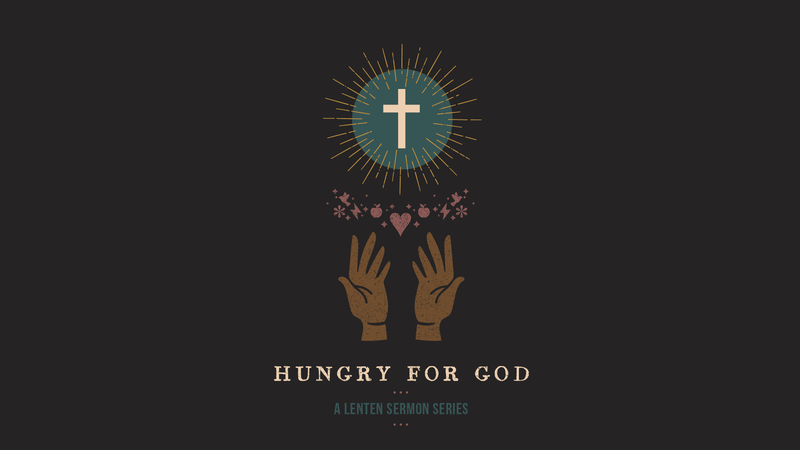 This week our devotional is built around this theme of the hunger to know. 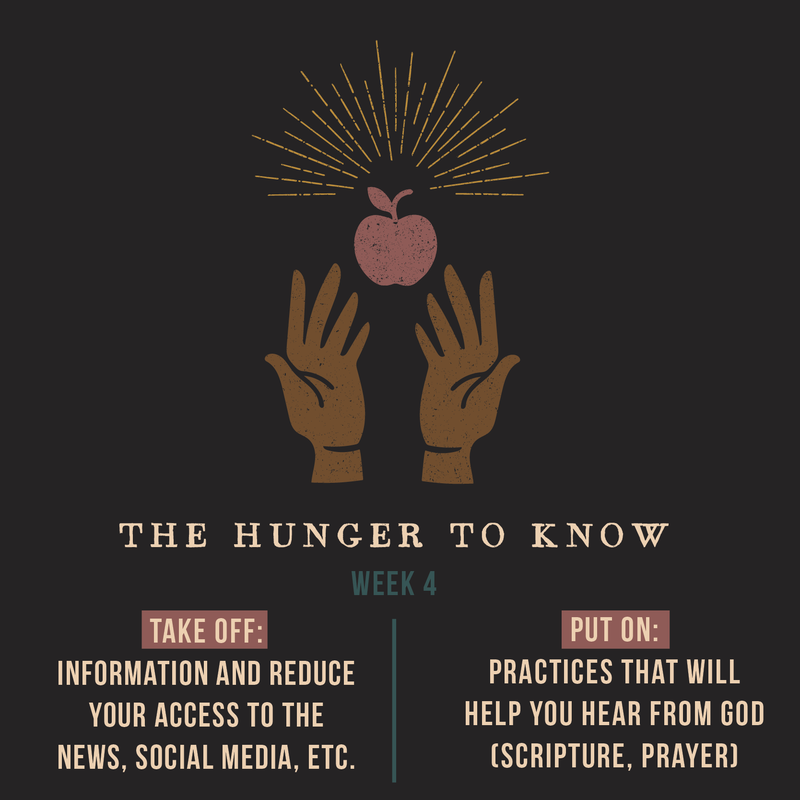 Take Off:Choose to fast from information in some way this week: reduce your access to the news; reduce how often you check your email or social media; avoid gossip forums or conversations. Think about why we so often desire to “be in the know” when it comes to other people or events. Put On: Replace the time you use to gather information with practices that will help you hear from God, such as regular Scripture reading, prayer, or sitting in silence before God. Make a commitment to change your habits regarding to how much time you spend taking in “news” about the temporary world and how you will begin to spend some of that time learning about God’s kingdom. Ilya Rapin, “Follow Me, Satan!” ? Ilya Rapin, “Get Away from Me, Satan,” ?